Artistic rendition of a HiberBand smallsat. 'NewSpace' startup Hiber's first two “HiberBand” smallsats will shortly gain orbit — the first launch will now occur on November 29 at 4.28 a.m. GMT from the Satish Dhawan Space Centre in Sriharikota, India. — the second event, originally scheduled for November 28 from Vandenberg Air Force Base, California, will now launch no earlier than December 1. The Vandenberg SpaceX launch of the Spaceflight SSO-A mission that included the HiberBand smallsats was delayed from the November 28 date due to extreme, high-altitude winds that violate Range requirements. Vehicle and payloads are healthy and the company will announce a new launch date once such has been confirmed with the Range. Less than 10 percent of the globe is covered by a connected technology ready network. Existing networks (such as WIFI) only work in urban areas and wealthier countries, while traditional satellites that provide wider coverage are expensive and power hungry. For these reasons, many connected tech applications and services are currently unaffordable. For example, it is currently unviable to monitor soil moisture to improve production efficiency and crop quality in the third world countries that rely on farming the most. Hiber is launching into orbit to change that. 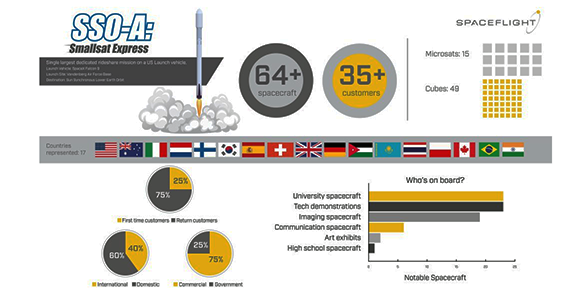 Once fully operational, the smallsats will fly over the Earth’s poles 16 times a day and the equator twice a day, providing the entire planet with the ability to stream data to and from connected technologies. Using a process that is up to 20 times less expensive than existing global solutions, it works by transferring data from modems and antennas owned by customers directly to the nano-satellites. Data is then sent back to Earth via the two existing satellite stations in Spitsbergen in Norway and Delft in the Netherlands. 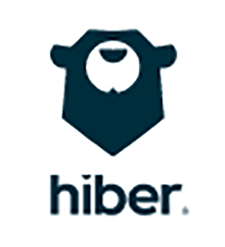 Hiber is collaborating with Amazon Web Services (AWS) and was named the AWS Commercial Launch Startup of 2018 on November 25. Hiber has also partnered with IBM Watson and Actility for easy integration into existing cloud services, allowing customer to easily build unique applications with global data-streaming capabilities. The network will be commercially operational from Q1 2019, serving more than 25 pilot customers. Hiber estimates there is a potential £3.5 billion opportunity for growth as potential IoT projects falter due to a lack of connectivity. One of its pilot customers, the British Antarctic Survey, will be using the network to transmit data from remote measurement stations currently without access to satellite communications. The ability to stream data from the stations will result in more frequent information gathering at a lower cost and the strain on the environment will be reduced as visits are lessened. Other customers include a Dutch company which will be bringing climate stations to schools in rural communities in Peru, Tanzania and Sri Lanka, to educate tomorrow’s smart farmers and Blik Sensing, which helps manage water resources by providing insight into global groundwater levels. Hiber expects to launch dozens of satellites to meet the enormous demand for connected tech around the world during the next 12 to 18 months. 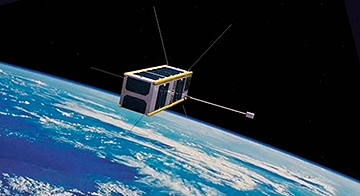 Laurens Groenendijk, Co-Founder of Hiber (and Co-Founder of JustEat and Treatwell) said that It is beyond exciting to be the first company bringing full IoT-connectivity to the globe — as well as being the first ever, commercial, Dutch Satellite operator. The commercial applications for Hiberband in the IoT industry are limitless. The company looks forward to powering diverse projects, from tracking cattle to tackling climate change and more effectively growing crops.